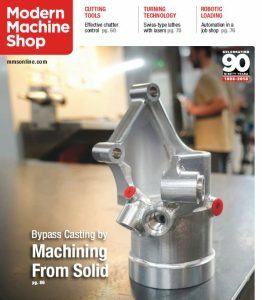 Our customers at R & D Manco were on the January 2018 cover story for Modern Machine Shop. Shop Floor Automations, the company’s machine monitoring provider, shares the story. “Machine monitoring has been another important factor in R&D Manco’s success,” states MMS editor Peter Zelinski within the feature piece. OEE monitoring is crucial for manufacturers. Knowing the utilization of all production equipment is becoming a daily need on the shop floor. R & D especially found our services helpful for older machines. We encourage you to read more about how machine monitoring is allowing R&D Manco to increase productivity. For more info on machine monitoring, please get in touch with us! Call (877) 611-5825 or fill out a contact form.